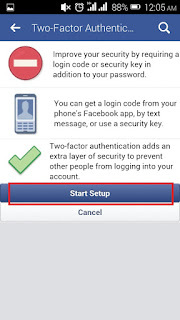 Facebook has listed new security login approvals to enable users to have better way of accessing their Facebook account. 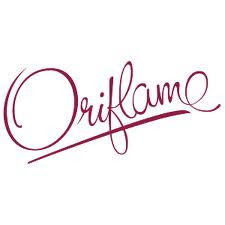 This featured is as a result of users who have a problem of remembered their passwords which do give way for hacking of their account. 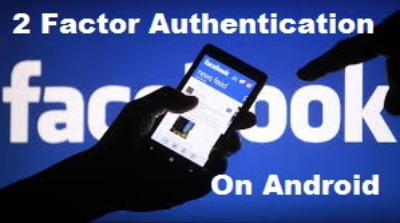 Enable two factor authentication on your Android Facebook will improves your security by requiring a login PIN code and security additional to your password. 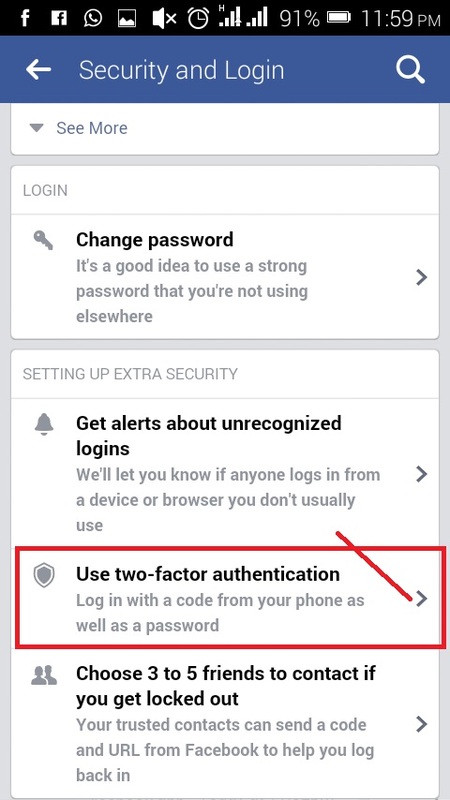 Two-factor authentication adds an extra layer of security to prevent other people from accessing or logging into your account. 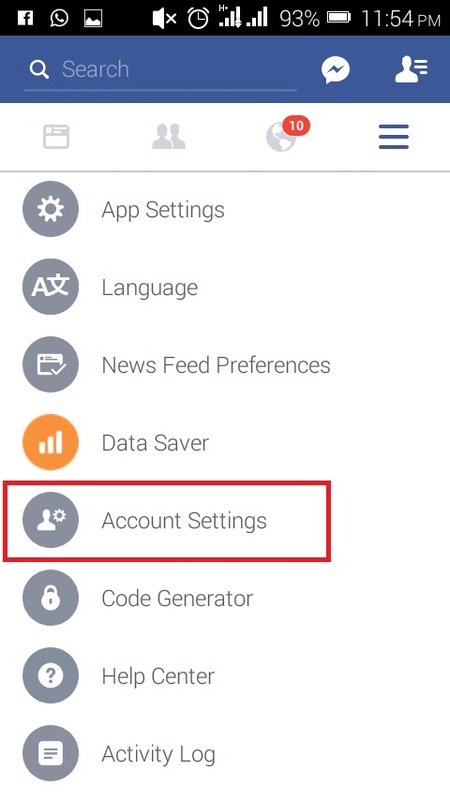 This featured has already been installed on WhatsApp and Instagram, if you don’t know how to enable, here’s the Facebook Android guide to get it done. 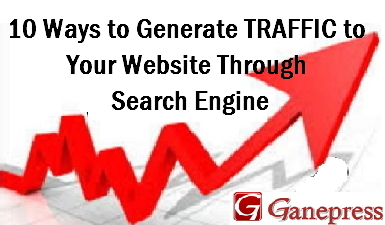 This step depends on the type of Android you use but all is the same process. 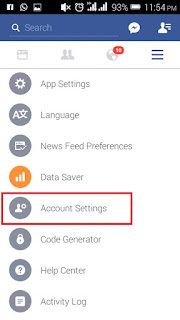 Follow the guides below to enable your Android setting. 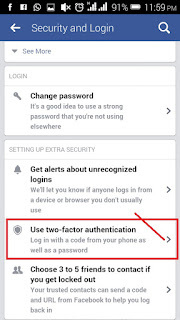 Open your Android Facebook account and located the menu icon at the right side of the notifications icon. 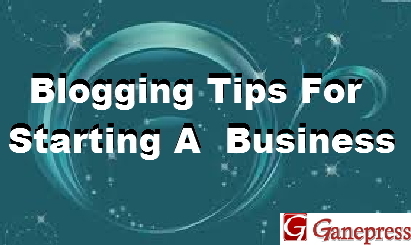 After that, keep scrolling down until you see an option called “Account Settings“. 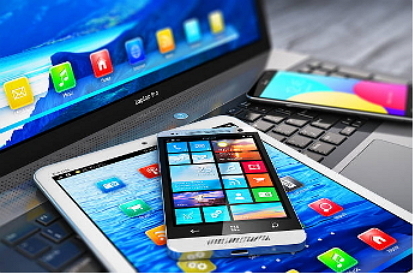 Under Settings tap on “We reorganized a few things. 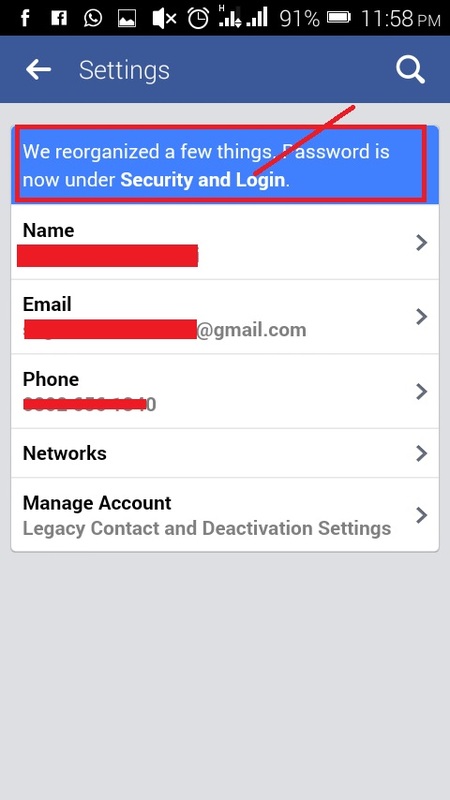 Password is now under Security and Login. 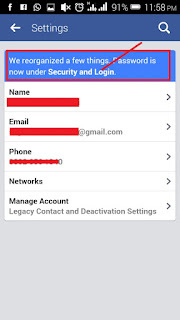 Still under Two-Factor Authentication, after you have received the six-digit security code, enter it into the app and tap on “Continue”. 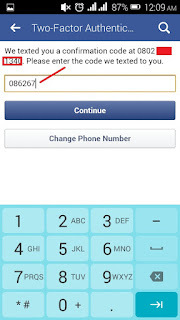 You will be shown your mobile number on which the security code will be sent. 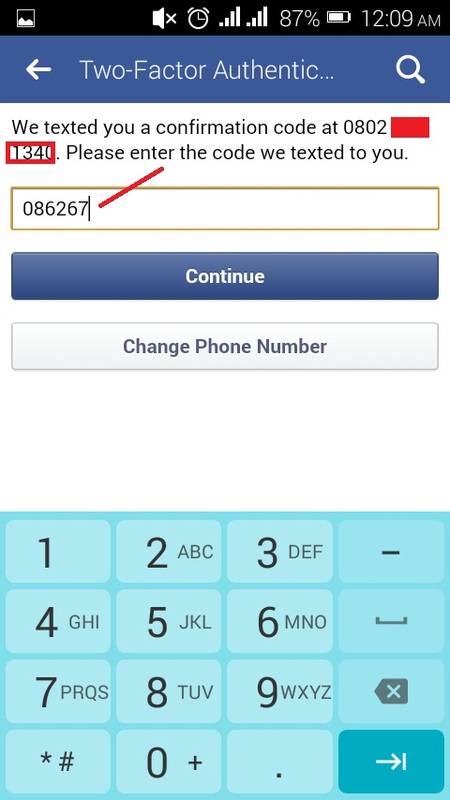 If it’s correct, tap on “Continue”, if it’s not or you wish to change it, tap on “Change Phone Number”. 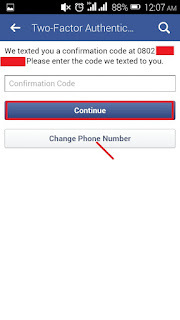 If you already have your mobile number on your Facebook, you will not ask but security code will be sent there for you. 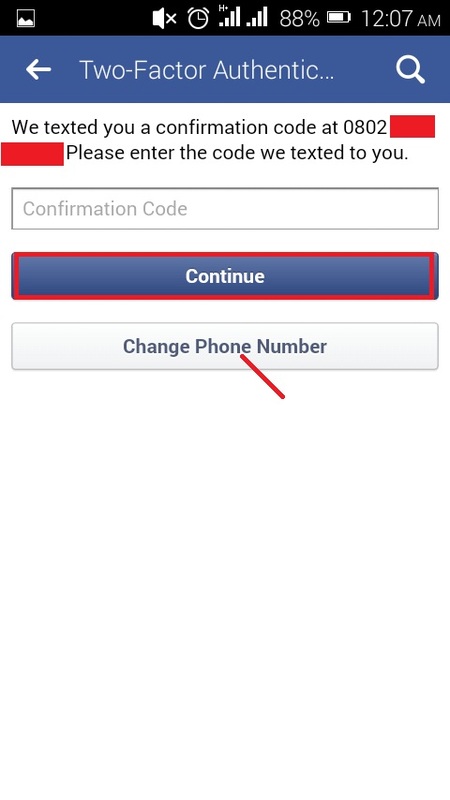 You will now be asked to Re-enter your Facebook password, just enter your password in the textbox and submit to continue. 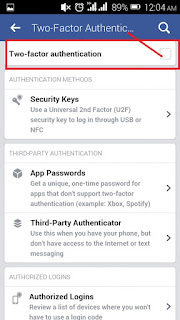 Your two factor authentication is enable. 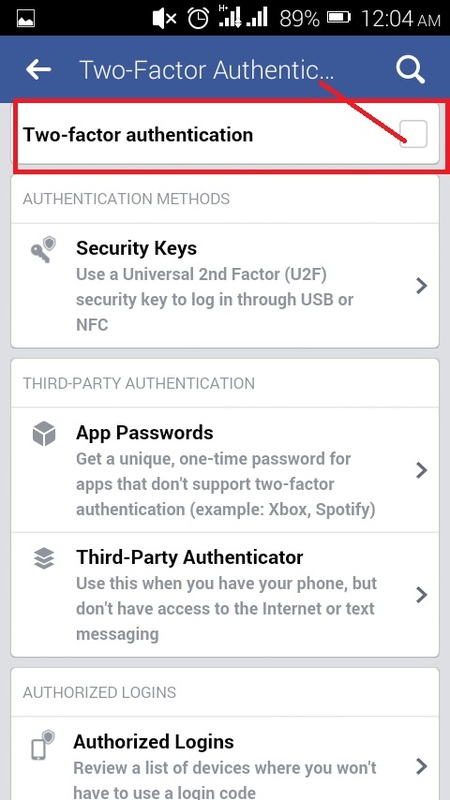 NOTE: This will now enable two factor authentication on your Facebook. 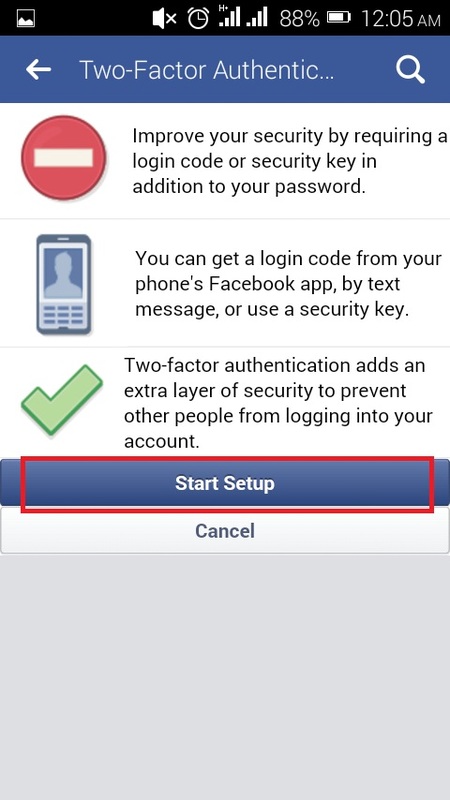 Whenever you try to login to your Facebook account, alongside with your password, you will also be required to enter the security code that will be sent to you either through your mobile SMS, app notification or email. 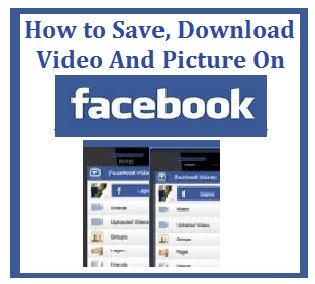 Without that, you won’t be able to access your Facebook account. 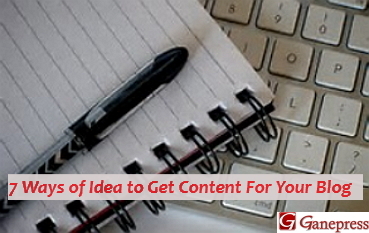 Hope you find this post interesting. 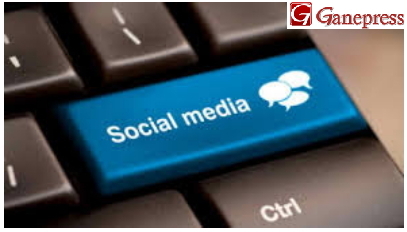 Feel free to leave your comment if you get it done and share this post with friends via social button.